We are committed to safe ministry practice which is God-honouring, person-valuing, respectful, and free from harm and abuse. A safe ministry is more than simply a risk management exercise or fulfilment of our legal obligations. Rather safe ministry is, first of all, an outworking of what James 1:27 calls true religion – caring for the vulnerable (widows and orphans), and an expression of what is required of all people, that is “to seek justice, love, mercy and walk humbly before our God” (Micah 6:8). Church history is overflowing with wonderful acts of love flowing through God’s humble servants, as the gospel of Jesus has been proclaimed and spread across the nations of the earth. However, sadly, the Christian Church has not always lived up to its calling. At times the Christian Church has allowed for great harm and abuse to be inflicted upon children and other vulnerable people. The stories of abuse in church contexts which have emerged from the recent Royal Commission into Institutional Responses to Child Sexual Abuse are horrific and something we are deeply ashamed of. It is a sad fact that some abusers have seen church communities as soft targets as they have sought to abuse innocent victims, be they children, young people or adults. Creating Safe Spaces training seeks to ensure safe ministry policy and practice to protect children and all vulnerable people from harm and abuse. As we establish and maintain safe ministry in our church events and programs we will fulfil our biblical, ethical, denominational, risk management, insurance, and legal responsibilities. Creating Safe Spaces includes a focus on child protection but seeks to protect all vulnerable people, including fulfilling our duty of care under Work Health and Safety legislation to provide a safe physical environment.  The Baptist Association strongly recommends that all those working with children and young people, including those with oversight responsibilities such as worship leaders, elders, deacons and church council members complete Creating Safe Spaces training every 3 years.  We encourage all affiliated Baptist churches to host a workshop in your church at least once every three years (if minimum numbers can be met). Our Creating Safe Spaces workshop is 3 hours in length with an additional half hour compliance consultation for senior church leadership. All attendees must also complete the Creating Safe Spaces online module before attending the face to face workshop. The NSW Government has recently proposed a range of legislative changes in response to the recommendations of the recent Royal Commission. While these proposed changes have not yet been legislated, if implemented they will significantly increase the legal obligation for churches to be proactive in protecting children from harm. We, therefore, encourage church leaders to ensure that we are complying with child-safe standards and the recommendations of the Royal Commission regarding child safe institutions. We offering Creating Safe Spaces training twice a year. There is an Awareness or Introductory Workshop, and a Refresher Workshop. For more information contact the church office on ph: (02) 6254 6565 or fill in the form on the contact us page.